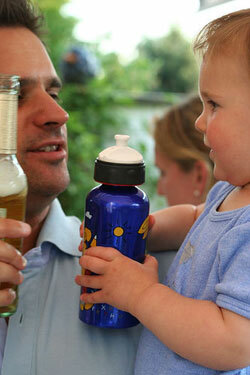 When dads drink, they are often faced with a situation where kids may want to try the stuff. Kids also see alcohol on sale all around them, in supermarkets, pubs, and restaurants. This can make it difficult for them to understand that alcohol can be dangerous. It may seem too early to talk to your kid about alcohol, but talking about it now may help prevent problems in the future.